Last month, thousands of young people around the world once again came together in the spirit of helping others during Global Youth Service Day. With the tagline “Your Story Starts Today,” Youth Service America encouraged young people to see the power that they have right now and make a difference. Groups of Aspect exchange students around the U.S. started telling their stories by participating in diverse service projects, donating bags filled with goodies and resources to groups in need in their host communities. Today, we want to recognize and give a big THANK YOU THURSDAY thank you to everyone who participated and continues to tell their story, share their gifts and make the world a better place. 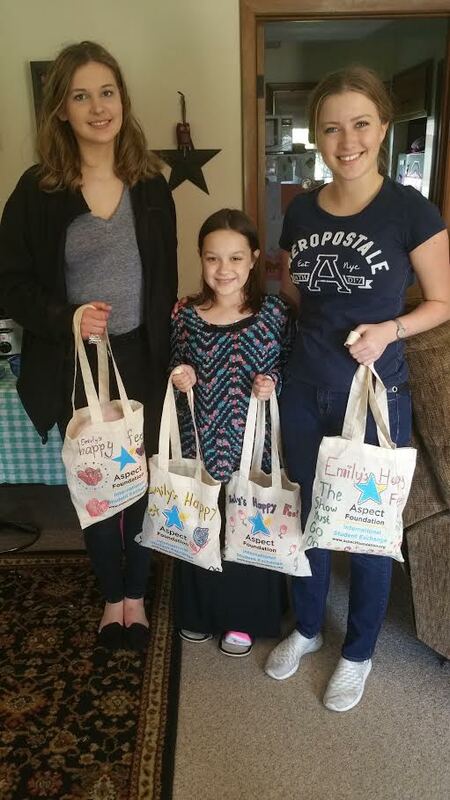 Emma from Denmark and Carina from Germany donated slippers to Emily’s Happy Feet Foundation in Ohio. Emily’s Happy Feet Foundation was started by Emily, a young person with a big idea. By her tenth birthday, Emily had spent a lot of time in hospitals, due to a rare genetic disease and was tired of the itchy hospital slippers she had to wear. She asked her friends to bring happy slippers to donate to other sick children for her birthday, and Emily’s Feet was born! 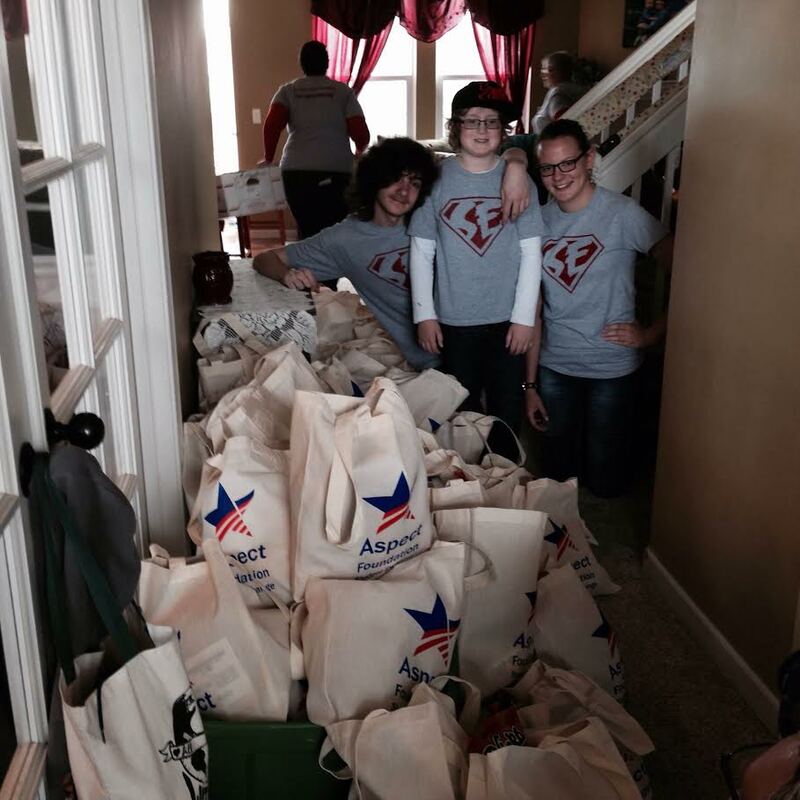 Exchange students joined with “Super Ewan” for the April Adventure in downtown Detroit, supplying the homeless and needy with clothing, food and much needed services. Super Ewan was dreamed up by an 8-year-old boy from Michigan — who also happens to be an amazing Aspect host brother! Ewan had a dream to dress up like a superhero and help those in need. Now, on the forth Saturday of every month, Super Ewan and teams of volunteer heroes distribute food, clothing and basic services and necessities to the homeless in downtown Detroit and surrounding areas. 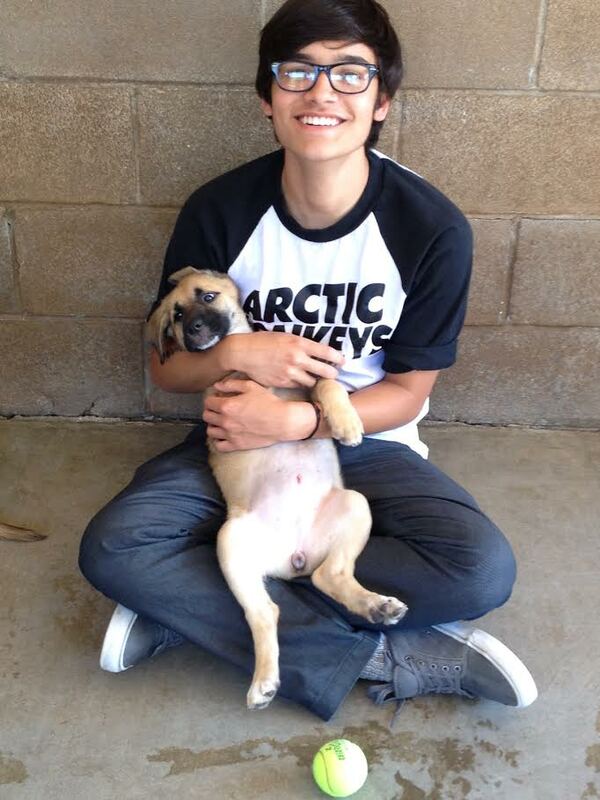 Rafael from Brazil cuddles a puppy during his group’s service day at an animal shelter in Texas. Operation Kindness is one of the largest no-kill animal shelters in all of Texas. Their mission is to care for homeless dogs and cats until all are adopted into safe, loving homes. With extensive volunteer, fostering and adoption programs, the furry friends of Operation Kindness are taken care of with kindness and responsibility. Aspect Foundatin’s San Francisco staff got involved with the Global Youth Service Day fun, collecting donations of art and office supplies for SCRAP during April. 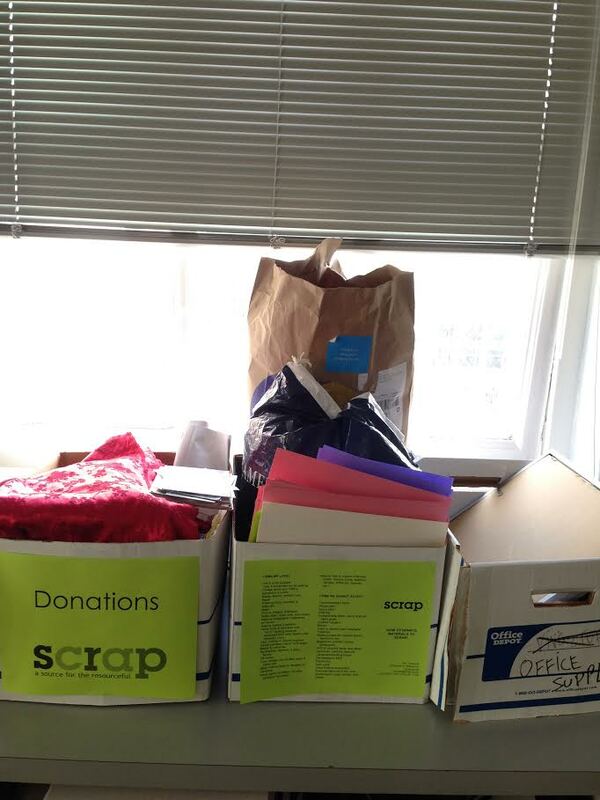 SCRAP is a nonprofit that collects and sorts donations of reusable items to be used in under-funded schools, classrooms and after school programs. They help people around the city recycle and find a home for often thrown-away items, reducing waste and supplying much needed resources to classrooms promoting the arts and creative education. Tags: exchange students, featured, service. Bookmark the permalink.